BLUEBIRD MANOR- A NEW SUBDIVISION ! EDGE OF TOWN LOCATION! 7 LOTS STILL AVAILABLE. JUST A STONE THROW FROM TOWN & SCHOOLS, BUT IN THE COUNTRY. STICK BUILT OR BOCA MODULARS ONLY. NO TITLED (HUD) HOMES. ASK FOR THE COVENANTS AND RESTRICTIONS. The owner of the Subdivision is a licensed real estate broker. 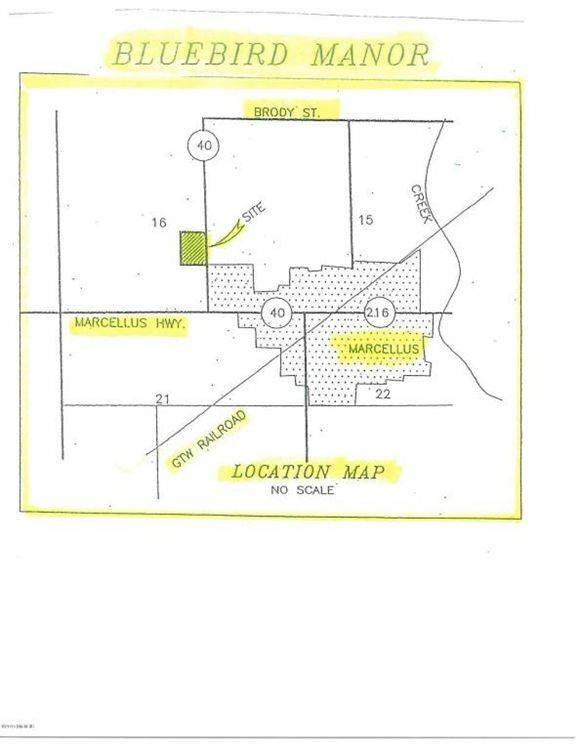 FROM MAIN STREET, GO NORTH ON M-40 APPROX 1/4 MILE TO THE ENTRANCE OF SUBDIVISION. Courtesy of: Koshar Realty P.C.